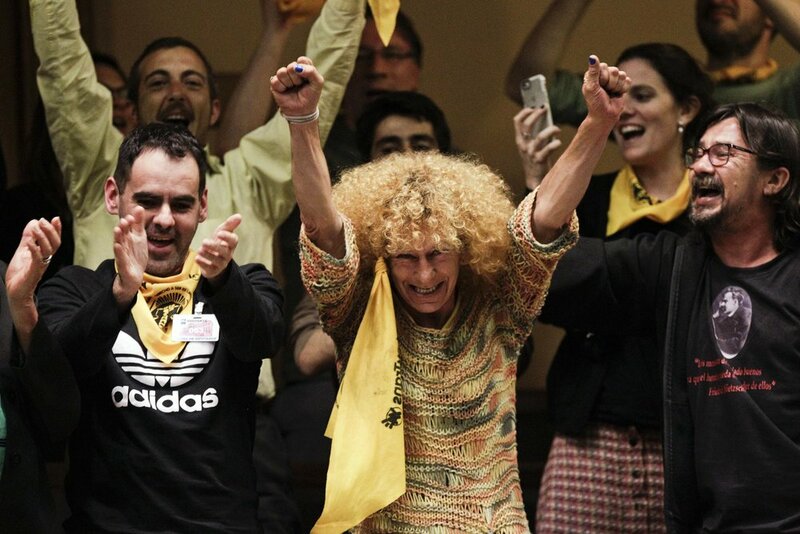 Activists celebrate the approval of the Comprehensive Law for Trans People (Matilde Campodonico/Associated Press). In almost every country, the transgender community is affected by poverty and discrimination. But the ability of the government of Uruguay to represent, repair and mobilize itself to alleviate the suffering of its trans citizens makes the country a guiding force to follow, especially in Latin America. Because of its efforts, Uruguay has emerged as the symbol of LGBTQ progress in Latin America, whereas struggling states such as Honduras, Guatemala and Paraguay are ranked the most repressive places for LGBTQ people. Uruguay, like most countries, has not solved all the transphobia, homelessness, prostitution and discrimination affecting the trans community; but they are actively passing legislation to counteract the oppression faced by the community. Transgender people have an average lifespan of 35 years in Uruguay. Furthermore, approximately 83 percent of trans people don’t finish high school, 65 percent of trans women have resorted to prostitution, and one in five trans people are living on the street. What makes Uruguay a model to follow is the government's attitude in helping the community. Rather than simply ignore the blatant injustices facing the trans community, Uruguay is combating the discrimination facing them. Michelle Suarez, Uruguay's first transgender senator and law graduate, spearheaded the country's Comprehensive Law for Trans Persons, which gave trans people access to state-sponsored gender-affirming operations and hormone treatments. The law also contains a pension for those who were discriminated against by the military dictatorship, and reserves 1 percent of government jobs open within the next 15 years for trans people. Rather than moving forward and ignoring the historical and present violence facing this community, the Uruguayan government confronts their oppression. The key to success will be resources. This recent legislation acknowledges the difficulties facing this community in surviving within a society where they are disproportionately disadvantaged. Article 14 of the Comprehensive Law for Trans Persons focuses on funding for education and requires that 2 percent of scholarships and student support systems include trans people. This seeks to alleviate discrimination within academia and provide financial support for students. Article 18 states that transgender people should receive priority for guaranteed housing, which begins to address the homeless crisis within the community. The state-sponsored hormone treatments, operations, education, and housing articles are ways in which the Uruguayan government is centering its legislation on the welfare of its marginalized citizens. In wake of discrimination, Uruguay is emerging as a progressive model in the area of trans rights. In contrast, the United States invalidated the identity of 1.4 million transgender Americans when the Department of Health and Human Services announced gender would be determined on a biological basis. The U.S. government's blatantly transphobic remarks and lack of understanding shows that the U.S. could learn from Uruguay. If the U.S. were serious about supporting its 1.4 million trans citizens, the government would pass comprehensive legislation to fight the violence and discrimination that leads to 20 to 40 percent homelessness among trans youth. Unlike the U.S., the Uruguayan government confronts the oppression inflicted on the trans community, affirming Uruguay’s title as the most LGBTQ-friendly country in Latin America.The reason for Uruguay’s progressive success isn’t their dismissal of marginalized communities, but rather their support and incorporation of transgender people into Uruguayan society Uruguayan society. The Comprehensive Law for Trans Persons expands services for trans citizens; not only is the new law a victory for the trans community but for Uruguayos as a whole.